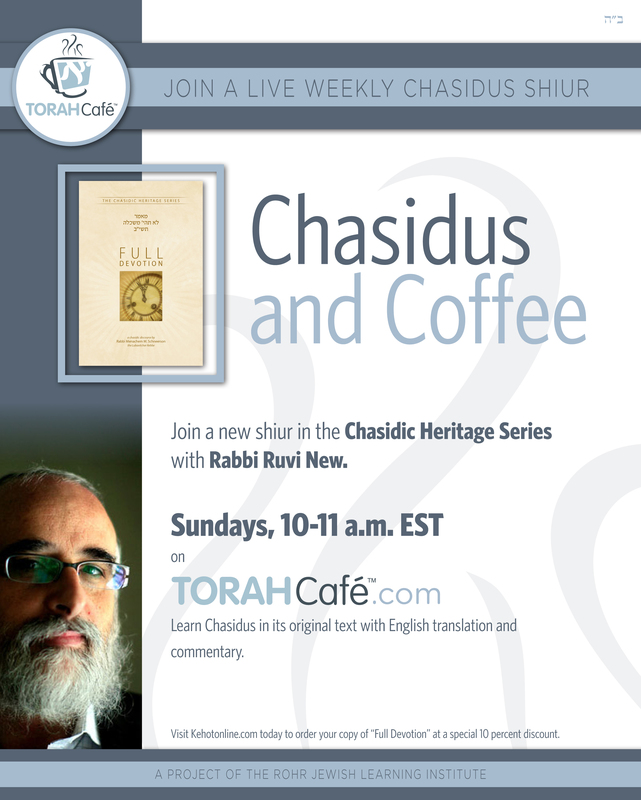 Tune into the third installment of TorahCafé.com’s live streaming shiurim series, Chassidus and Coffee, featuring Rabbi Ruvi New of Chabad of East Boca, Florida. The class will be broadcast live on Sunday mornings 10-11 am. Next Post: One Shabbat One World Happening in 3 Weeks! Previous Post: Shlichus: Was it the vision of the Alter Rebbe?